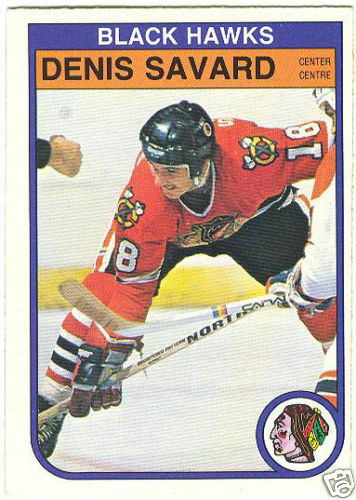 1982-83 OPC card of former Chicago Blackhawks superstar Denis Savard (#73). NrMt or better (has usual rough edges). ONLY ONE AVAILABLE FOR SALE.